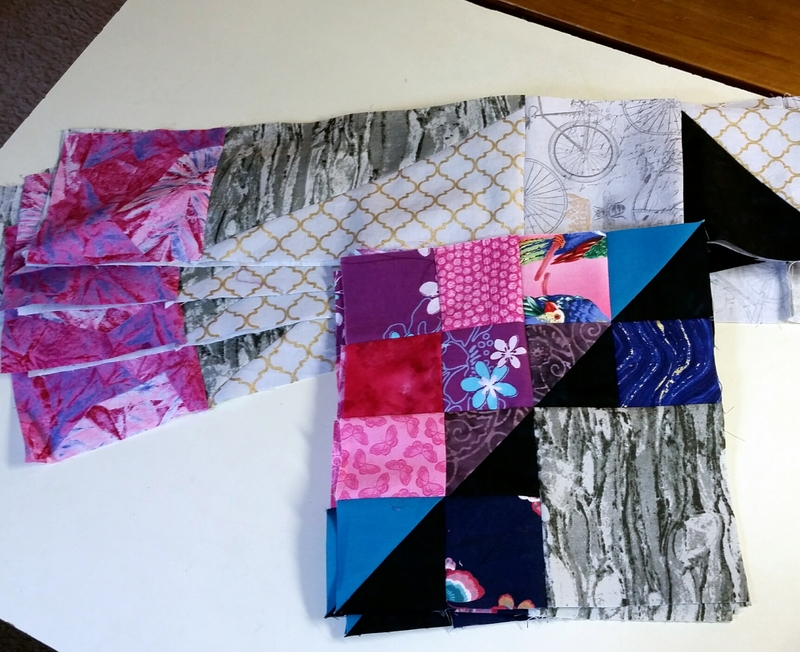 Yesterday I completed Clue #2 of Charlotte Scott’s mystery quilt, Pacific Stars, hosted by Carol’s Quilts. It is very much a mystery to me how this will turn out. I hope my fabrics turn out to be good choices. Everything has been scraps or older fabrics (“stash dogs”), except for the light gray fabric, which I had to buy. My “dark indigo” is very dark, almost black, which is probably why it’s still in my stash. We’ll see. 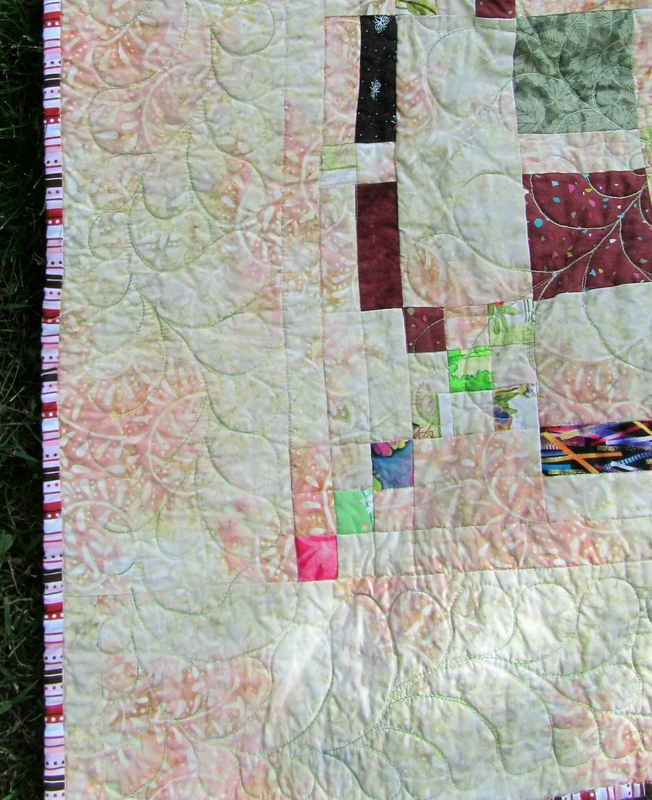 So, I’m caught up on this quilt, and I’ve met my goal on Daisy’s quilt-along, Layer Cake Explosion. Not too bad. My finish this week was this baby quilt for donation. (If you need a Zebra quilt, you can find a very similar one in my Etsy shop.) This was all fabric from the stash, mostly leftovers from the first Zebra quilt. There are surprise flannel text patches mixed in on the front, but the backing is quilting cotton. 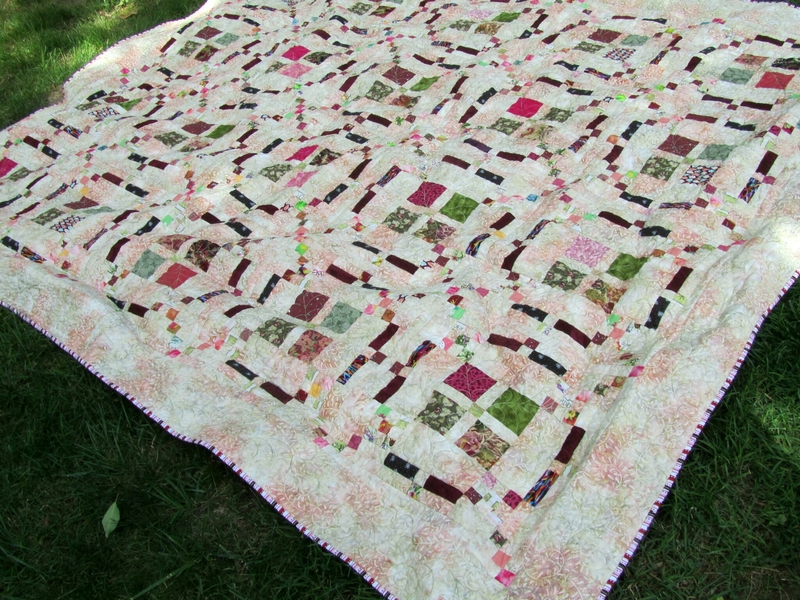 I had a pleasant time quilting ribbon candy and matchsticks across this using a pastel variegated Rainbows thread from Superior. However, I added three yards of light gray fabric this week, so it was pretty much a wash.
Hope you have time to sew, and that you’re using your stash. This quilt is headed to Project Linus. 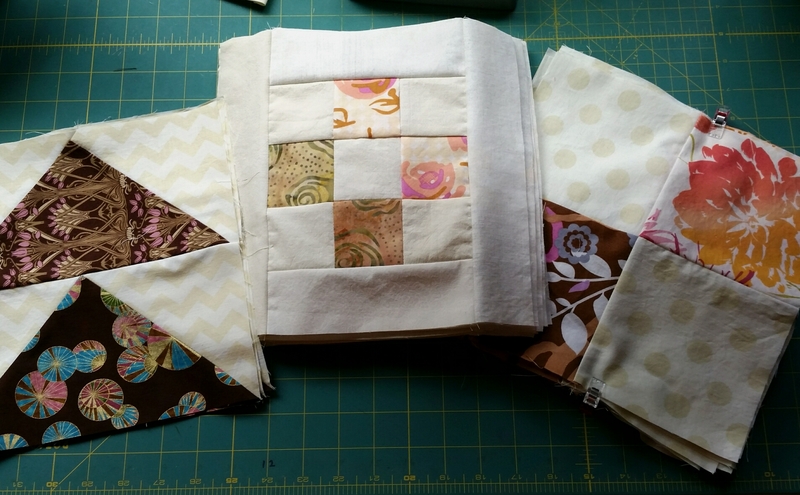 Linking up to Sew Some Love at Kat and Cat Quilts. Categories: Stash | Tags: baby quilt, Evening in the Garden, safari quilt, superior thread, Valerie Root, zebra quilt | Permalink. Today was a beautiful, cool day in the studio! Lots of rain for the garden, and lots of sewing time for me. First I cut and sewed Clue 3 for Layer Cake Explosion. Later, I was antsy and looking for some mindless sewing, so I pulled out these zebra blocks . 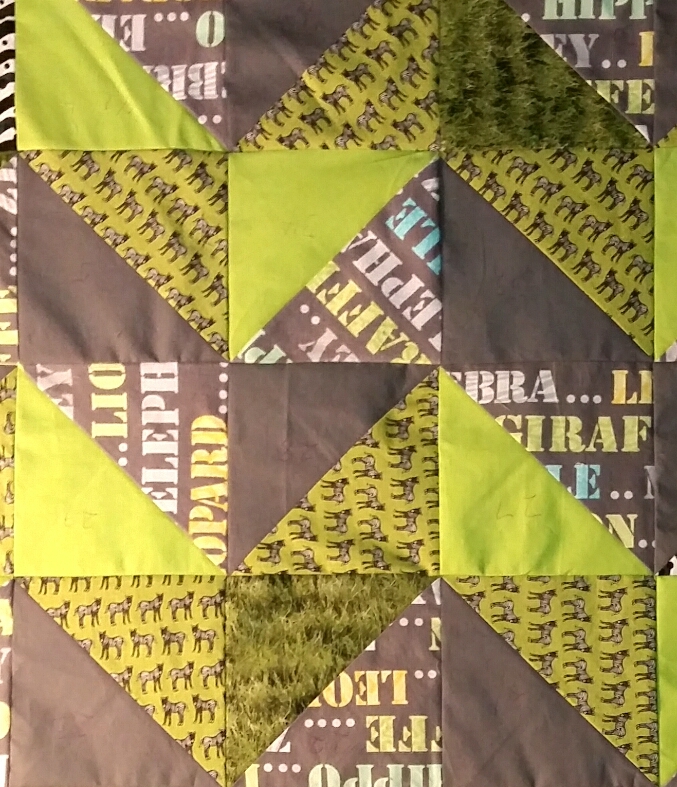 I may have made too many, okay, double, the number of blocks I needed for my last zebra baby quilt. The green is prettier than this, I was losing my light. These were already numbered and ready to sew together. 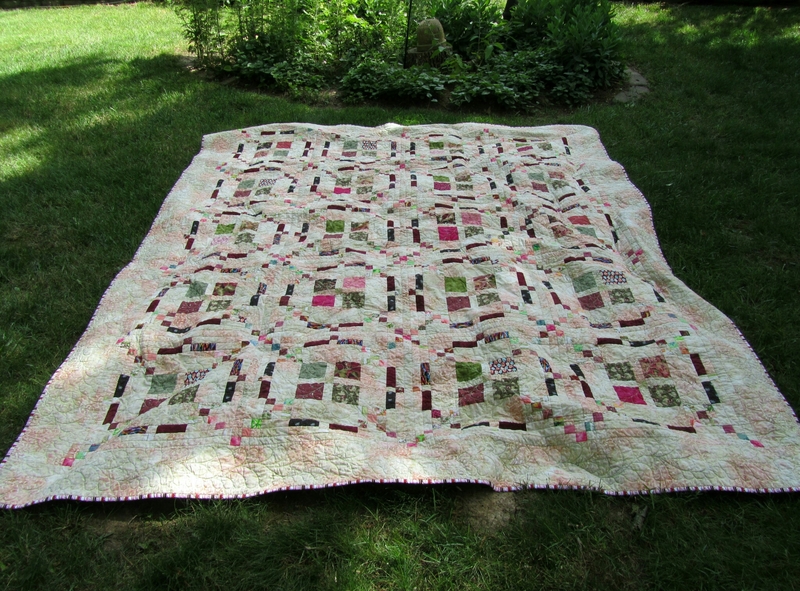 When I get back from traveling, I’ll quilt this up for donation. Wishing all of you good sewing weather! Finally, I have numbers for a Stash Report! This was a secret gift project. Most was home dec fabric, so I can only count half a yard out of the stash. 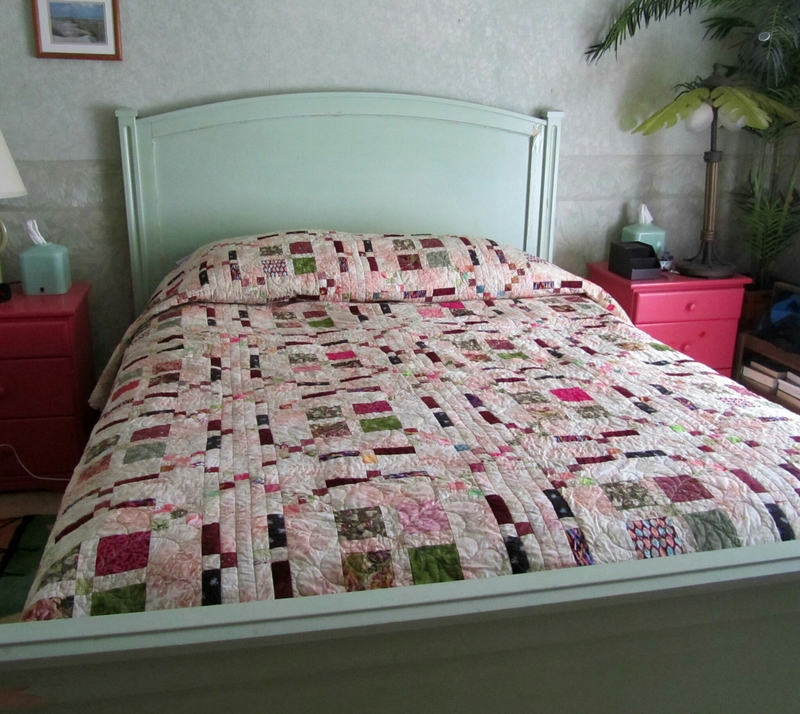 However, I also completed this quilt, Surrounded by Scraps, for a eleven and a half yards! This was my first One Hour Basket (Craftsy). It took me an hour and fifteen minutes. I added fleece to the handles, and did extra topstitching on the handles and around the top to give it more stability. The pencil case (I cut the size down quite a bit) was The Worlds Fastest Pencil Case by thread riding hood, and it sure was! If I had had this tutorial when I was teaching, my whole class would have gotten these every Christmas! 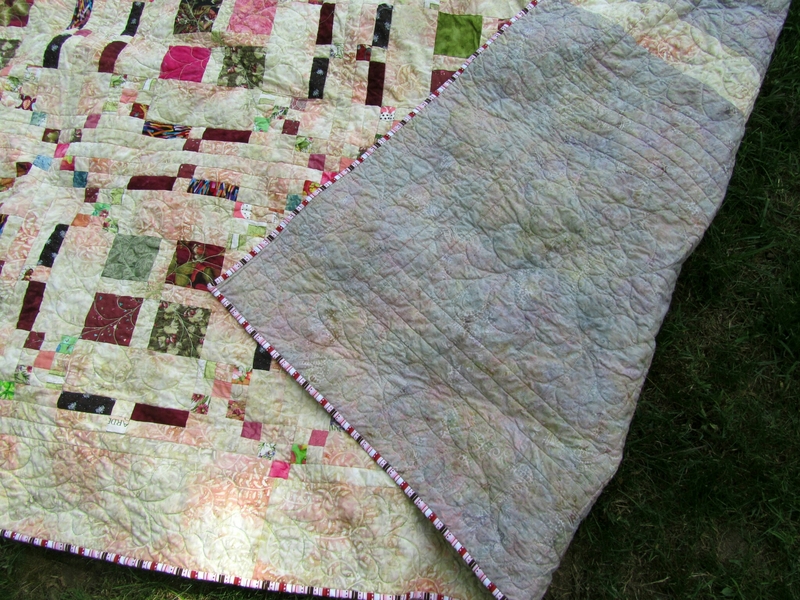 I wanted to use quilting weight fabric, so I cut two pieces and spray basted them wrong sides together. This still only took me twenty minutes to make, finished edges inside, and no hand sewing! The other piece is the Wide Open Zippered Pouch (Noodlehead), which I have made before. I think I made her small size this time. Wow, the first half of June really got away from me! Family, the garden, the heat, everything has gotten in the way of sewing. It’s a good thing I got a lot done in May! I hope you’re enjoying your summer (or winter!) and still getting some sewing done! I just really wanted to post this quilt, since it has been almost a month since I’ve talked to you, and since it feels like I’ve worked on this quilt forever. I finished one secret gift, but mostly summer activities got in the way. All finished now! This is Charlotte Hawk’s 2017 mystery quilt, “Surrounded by Scraps“. The back looks gray from a distance, but it’s really a tiny green and pink and purple patterned batik. I quilted a grid of straight lines in the areas between the blocks, using silver Bottom Line thread. 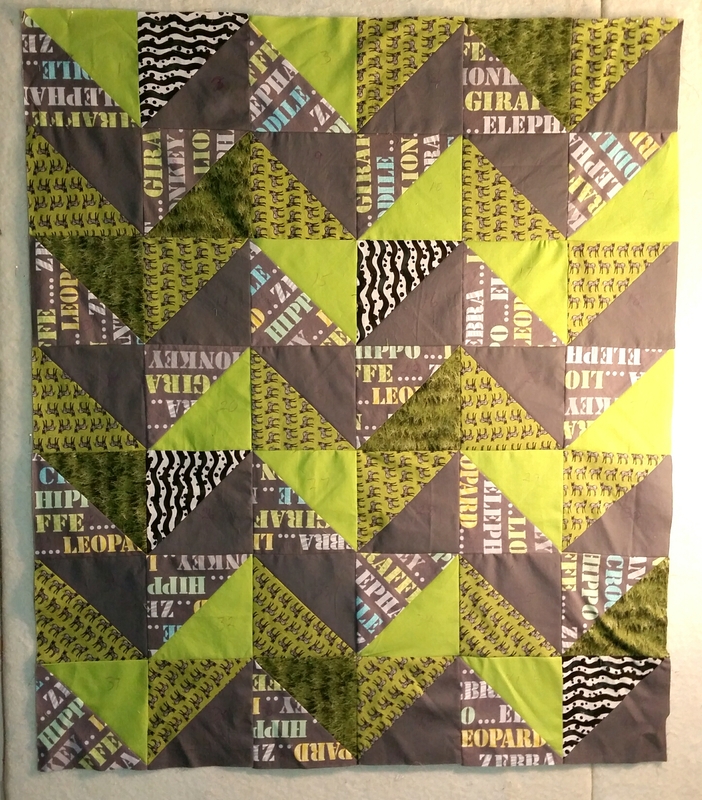 Then I used a variegated green So Fine to quilt feathers in the center of the blocks and on the border. This one is staying right here on our bed! 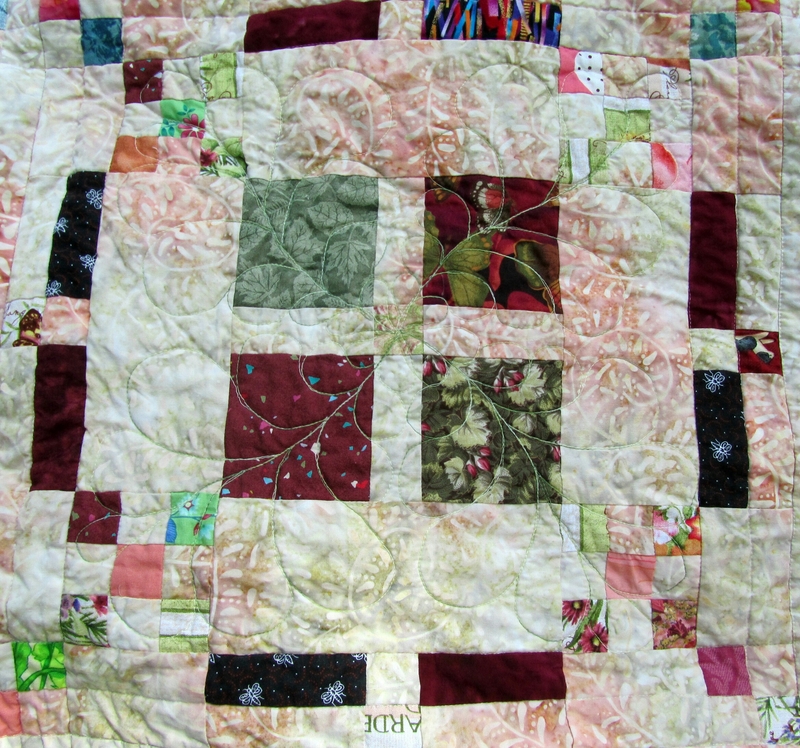 Categories: Finishes | Tags: Evening in the Garden, superior thread, surrounded by scraps, Valerie Root | Permalink.